When you think about trying to lose weight, typically, you think about not eating this and that. Some people even starve themselves unhealthily just to lose those pounds. We all know it is seriously hard to lose weight. It needs a serious amount of exercise and a more serious amount of self-control. But, you should know that losing weight is not all about deprivation, pain and suffering. Actually, it could be delicious, enjoyable and healthy. Adding hotness to your meal by adding green chile peppers or adding green chile sauce and salsa can actually help you lose weight and it would be a wonderful way to kick-start your healthy diet. Chile peppers have an active component called capsaicin. It produces a burning sensation when eaten or when in contact with any body tissue. It is because its function is to protect the plant from insects and mammals, including us, humans. It is the plant’s self-defense mechanism. These capsaicin chemicals also stimulate the fat burning mechanism of the body. When a person eats the chile pepper, it stimulates the heat producing reaction. Its hotness makes the body react by increasing its temperature. When the body’s temperature is already increased, its thermogenic process starts at the same time. Thermogenic process is the rate at which the body burns fat and calories and this process is commonly known as the body’s metabolism. The faster and the more efficient a person’s metabolism is, the more he or she burns body fats and loses weight. By having a delicious hot meal with green chile, you satisfy your hunger need at the same time you are already burning fat and on the way to losing those pounds. In a study done by scientists from Taiwan, they found that the cells which develop into fat cells, called pre-adipocytes died before they could mature into fat cells when it was exposed to capsaicin for 8 days. Their findings also showed that subjects of the study who were given capsaicin had an increased average metabolic rate after taking it. In the two weeks of their study, the subjects who were taking capsaicin had reduced body fat of 70% and this reduction was more notable on the subjects who had high amounts of body fat at the beginning of the study. In burning fat and losing weight, you do not have to be unhealthy and deprive your body of very important nutrients and minerals that it needs. A slimmer figure should absolutely not be a figure out of unhealthy eating habits and starvation. 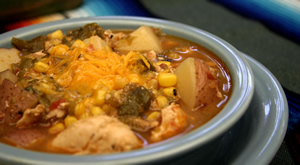 Adding hot green chiles is a great and healthy way to kick-start your health food diet. But, if you are just starting and are not very tolerant of the heat of the pepper, the green Anaheim chile pepper is a good idea to start. It has a Scoville rating of 500 to 2,500 which means it is very mild. 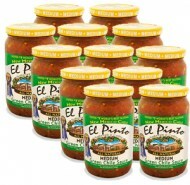 El Pinto green chile sauce bring fresh and natural green chile to your door and can help increase your metabolism, burn your fats, make you lose weight, and at the same time provide your body with the vital nutrients it needs. 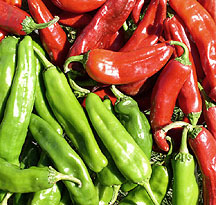 Chile peppers contain more vitamin A compared to all kinds of the food plants. It is also a good source of the various vitamin B, vitamin C, vitamin E, iron, magnesium, potassium, and the antioxidant, beta-carotene. The Anaheim green chile in El Pinto’s green chile sauce is a perfect way to start your diet in a very healthy, easy, effective and right way.